1. A ruffled, front-tie T-shirt so you can stick to your usual tee-and-jeans combo, but with an approachable update. 2. A leopard print belt, because this'll meet you in the *middle* when it comes to subtly giving your denim a fashionable twist. Get it from Amazon for $15.86+ (available in sizes XS-XL). 3. A satin skirt that'll help you make a *smooth* transition from wearing jeans all the time. Dare I say when you start wearing this with sneakers and band tees, people may start considering you Best Dressed at the office. Get them from Nasty Girl: the gray skirt for $25 (originally $50; available in sizes S-L and two colors) and the pink skirt for $20 (originally $40; available in sizes 2-20). 4. A pair of faux leather d'orsay flats for replacing those boots you've been wearing 24/7. It's time to set those feet FREE in the name of spring fashion. Get them from Amazon for $22.20+ (available in sizes 5.5-12 and six colors). 5. 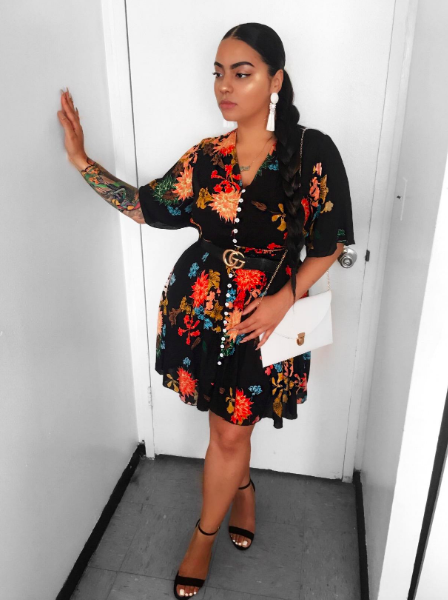 A bohemian long-sleeved dress so you can feel particularly *care-free* about what to wear as the seasons transition. It'll keep you warm if it stays cold (please no), but work just as well with flats come spring. Get it from Walmart for $29.99 (available in sizes 1X-3X and three colors). 6. A tulle midi skirt, because this is your time to get the Carrie Bradshaw closet you DESERVE — just without the tremendous debt. 7. A button-down floral dress that'll stick by your side for seasons to come, thanks to its versatility. Tights and boots? Check. Sandals and sunnies? Double check. This just put an official end to your constant "what the heck do I wear?!". 8. A pair of wide-leg, cropped jeans for finally retiring your daily black denim. Prepare to be shocked when you learn how much you love wearing (gasp!) COLOR. AND they're high-waisted?! Be still, my heart. Plus they're 100% cotton so they won't stretch (but are still nice and soft). Get them from American Eagle for $29.99 (originally $49.94; available in sizes 00-20 in short, regular, and long). 9. A set of marble-patterned barrettes to easily update the very same ensembles you've been wearing for months. Considering they're one of this season's biggest trends, they'll probably inspire you to go ~head-first~ into dressing stylishly every darn day. Get a six-pack from Amazon for $6.99 (available in 13 styles). 10. A rib-knit sweater dress so you can continue to wear the same old T-shirt you love wearing, but with a welcome update. AND you'll still feel just as comfy, courtesy of this super soft material. Get it from Amazon for $20+ (available in sizes S-XL and five colors). 11. A belted striped jumpsuit, because there is truly nothing better than a fashionable one-and-done outfit. This is not my opinion, it's a fact. END OF DISCUSSION. 12. A oversized denim jacket that'll let you top off your favorite leggings in order to make your *lazy day* looks seem a little more put-together. Long live comfy dressing. Get it from Amazon for $33.99 (available in sizes S-L and three colors). 13. A mix-print blouse for creating a pattern of looking extra polished at work — even if you pair this with your usual everyday denim. Get it from Asos for $32 (available in sizes 0-14; sizes 12-24 available in a separate listing). 14. A French beret so there's never a *cap* on new ways to wear your regular clothes. This'll update everything as soon as it's on your head. Btw, it's a wool-blend material! Get it from Amazon for $8.89+ (available in 17 colors). 15. A floral mini slip, because this'll grow on you from day one. Wear a cardigan over it, layer it over tops, rock it with combat boots, WHATEVER. The limit does not exist. Get it from Free People for $29.95 (originally $78; available in sizes XS-L and two colors). 16. 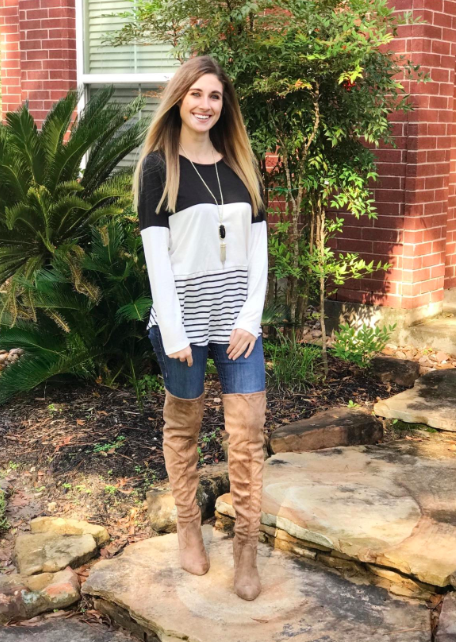 A striped cardigan sweater that'll chicly accessorize your favorite leggings so you don't have to stray too far from your ~comfort~ zone. 17. A denim skirt for looking *red hot* even when worn with the shirt you've had since high school. It'll be happy to meet someone new. Get it from Target for $17 (available in sizes 00-18). 18. A pair of faux leather leggings so you can ~kick up~ your wardrobe with some edge starting the minute you throw these on. Think of these as an upgrade from your everyday black jeans. 19. A cropped button-down cardigan, because this'll give your old sweaters a run for their money. Can they make old tops look stylish, match jeans, skirts, and dresses, AND feel unbeatably soft? I. DON'T. THINK. SO. Get it from Nordstrom for $23.99 (originally $48; available in sizes 2-12 and seven colors). 20. A pair of faux suede over-the-knee boots that'll recreate designer looks without the sole-crushing cost. Your outfits are about to always look very *in vogue*. Get them from Amazon for $18.68+ (available in sizes 5.5-11 and four colors). 21. A buttoned blazer dress for putting your overworn LBD to pasture. It's time to introduce some color to your nightlife wardrobe. Get it from Boohoo for $25 (originally $50; available in sizes 12-24 and three colors). 22. A boho V-neck romper with dramatic flare sleeves so you can create a trendy outfit in one easy step: put this on. Ok and some shoes, but you're already more than halfway there. Get it from Amazon for $17.99+ (available in sizes S-XL and four colors). 23. A pair of gold-plated hoop earrings, because these'll go with everything and make chicly accessorizing incredibly easy. Tl;dr: you can wear these all the time and still look polished and on-trend every day. Get them from Amazon for $6.99+ (available in gold, rose gold, and silver, and in two styles). 24. A ruffled chambray wrap dress that'll keep you from getting the wardrobe blues. Think of this as your most stylish go-to whenever you need to get ready in a cinch. Get it from J. Crew Factory for $39 (originally $98; available in sizes XXS-3X). 25. A cinched peplum top for keeping your wardrobe in full bloom, even when your motivation to create new ensembles wilts. This'll do all the work for you. Promising review: "I love this shirt!!! The fabric feels amazing and the flow is great." —Scott M.
Get it from Amazon for $21.99+ (available in sizes 0X-3X and eight colors and patterns). 26. A belted sweater vest so you can keep warm during colder weather without ruining your outfits. Not to mention, this'll let you explore more combos than your usual pullover sweaters. Get it from Walmart for $16.94 (available in sizes S-XXL and four colors). 27. A pair of retro oval sunglasses, because these'll always make you look effortlessly cool — key word "effortless." Turns out your old sweatshirt looks 100% more trendy when paired with these. 28. 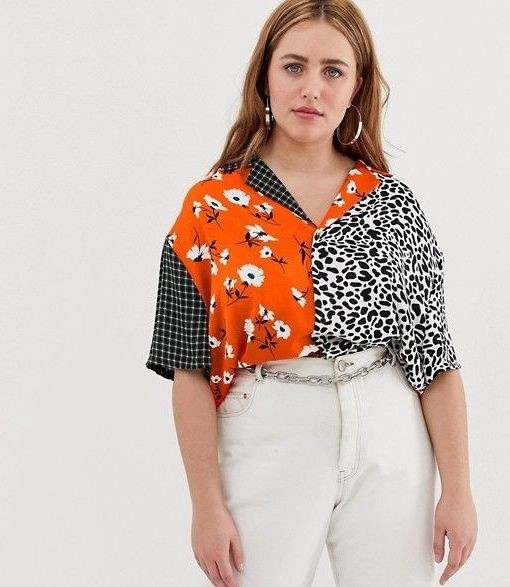 An overall jumper with **pockets** that'll make your blouses wonder how you've gone all this time pairing them with pants. Will this give them new life? ABSOLUTELY. 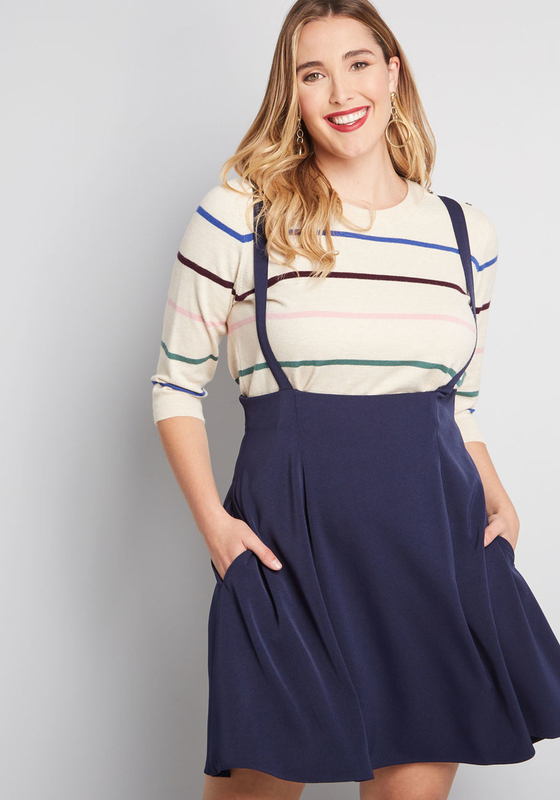 Get it from ModCloth for $39.99 (originally $59; available in sizes XXS-4X and four colors). 29. A backless lace-trim bodysuit for finally answering your weekly pleas of what to wear every Saturday night. No more backing out of plans because you don't like your clothes. 30. A square-neck cami so you can give all your tops that are on heavy rotation a new perspective with this unexpected twist. Get it from Urban Outfitters for $29 (originally $39; available in sizes XS-XL). 31. A pair of baggy denim overalls, because these'll help you feel more fashionable in a ~snap~. Are you still wearing the same exact tee you pick every week? Perhaps, but no one will know. Get it from Amazon for $21.80+ (available in sizes XS-XXL and three colors). 32. 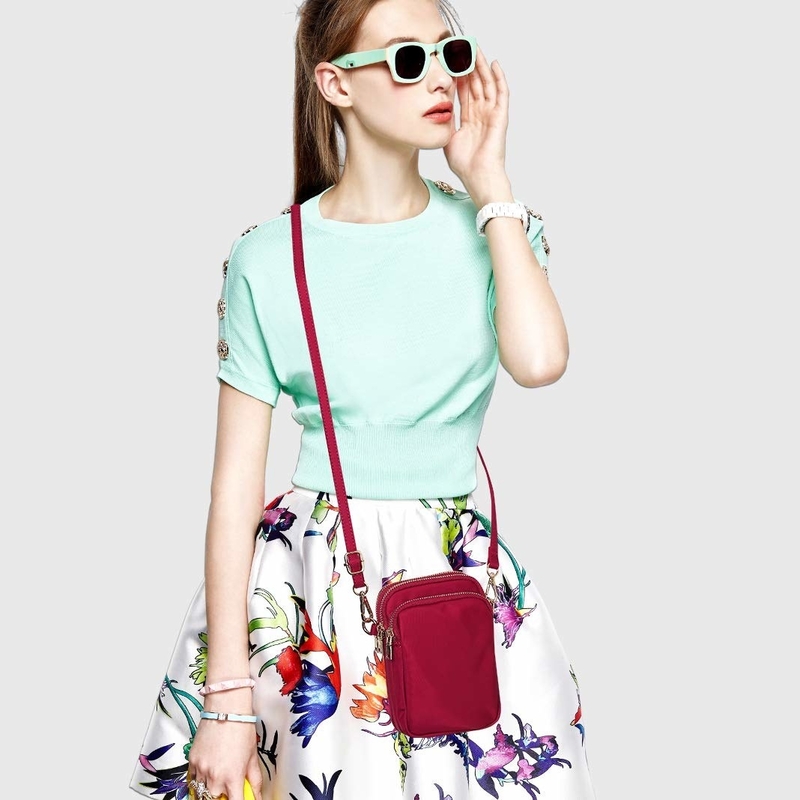 A crossbody or bucket bag that won't make you shoulder the burden of looking instantly trendy. This'll put all your usual clothes up to the task. 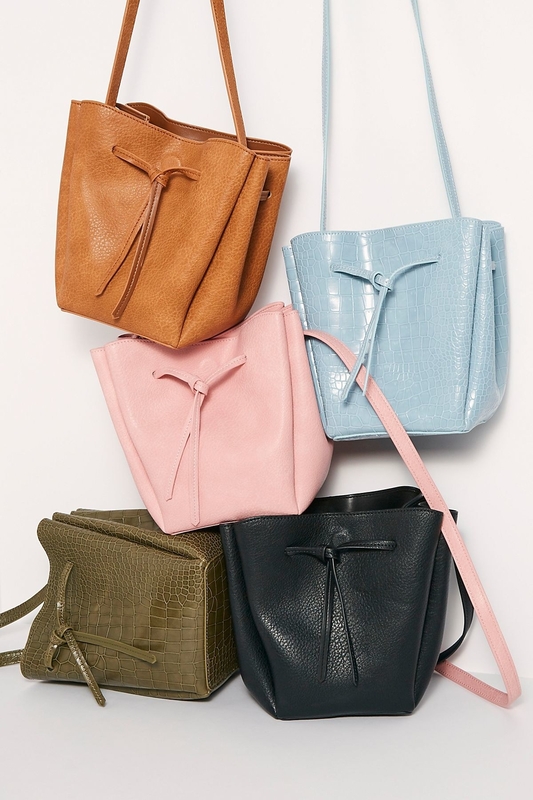 Get the crossbody from Amazon for $16.99 (available in 13 colors) and the bucket bag from Free People for $29.95 (originally $48; available in three colors). 33. A floral chiffon topper for making all your outfits flourish with minimal effort. I suppose this is what happens when we try colors other than black and gray. 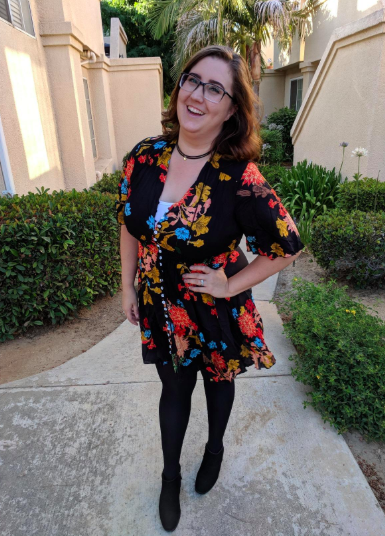 Get it from Torrid for $37.42 (originally $49.90; claims to fit one size). 34. A tie-front T-shirt dress so you can look put-together for any occasion, whether you wear this with heels or sneakers. It's time to introduce a new going-out piece to your Insta grid. Get it from Amazon for $12.99+ (available in sizes S-XXL and 23 colors, in short and long sleeves). 35. 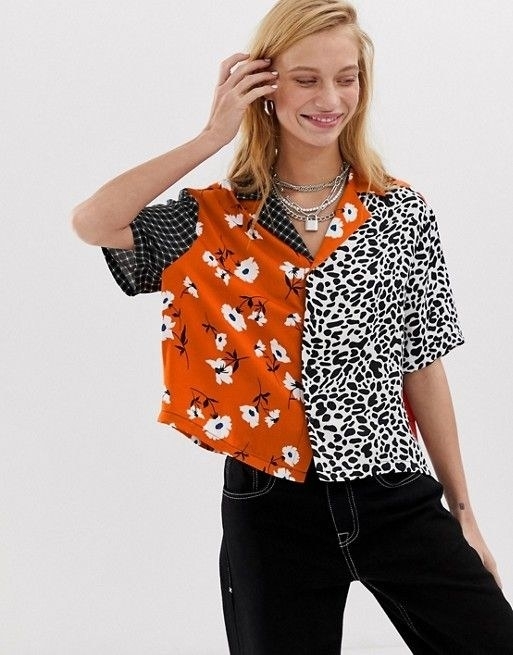 A leopard print blouse, because this'll totally transform all your bottoms without making you go ~wild~ with spending. Get it from H&M for $17.99 (available in sizes 0-14 and two colors). 36. A pair of lightweight platform sneakers that'll help you *run away* from wearing your old gym shoes with regular outfits. Comfort AND style? All hail athleisure. 37. A pair of sunflower flare pants for making you say "leggings who?". They're just as comfy, but STRETCHY and right on-trend. Heck, you may start to overwear these too. I'll allow it. They're made of a stretch-knit fabric and have an elasticized waist! Promising review: "These are super cute and comfortable, if you’re 5’6 and shorter they might be longer at the bottom, but all you need are some cute platform sandals and you’re good to go!" —Qui D.
Get them from Forever 21 for $17.90 (available in sizes 0X-3X). 38. A velvet embroidered dress so you can look extra dressy, despite throwing this over really anything. Sweatshirt, you were good to us. But now it's time to move on to more stylish toppers.